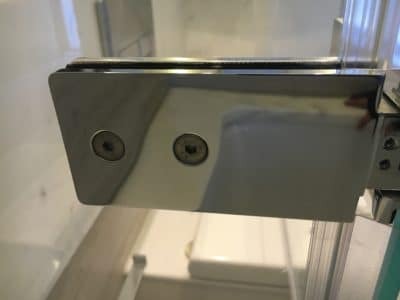 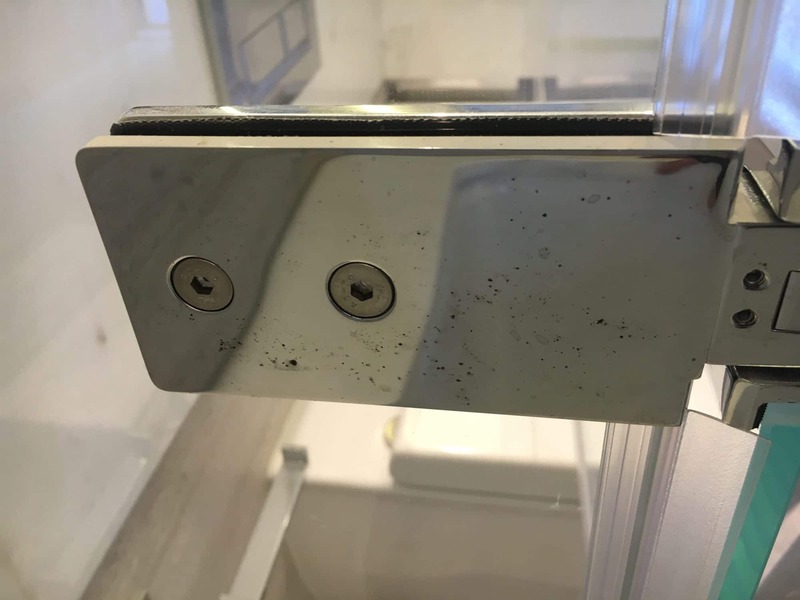 Rust spots polished out of a chrome plated shower hinge saving time and money on ordering and replacing with a new hinge. 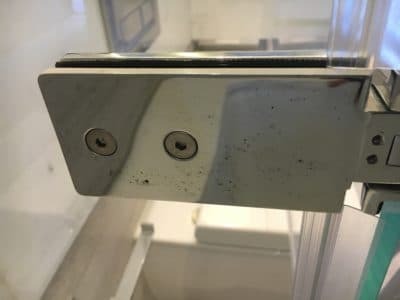 Rust stains very obvious on metal surface. After the polishing there is no sign of rust at all. 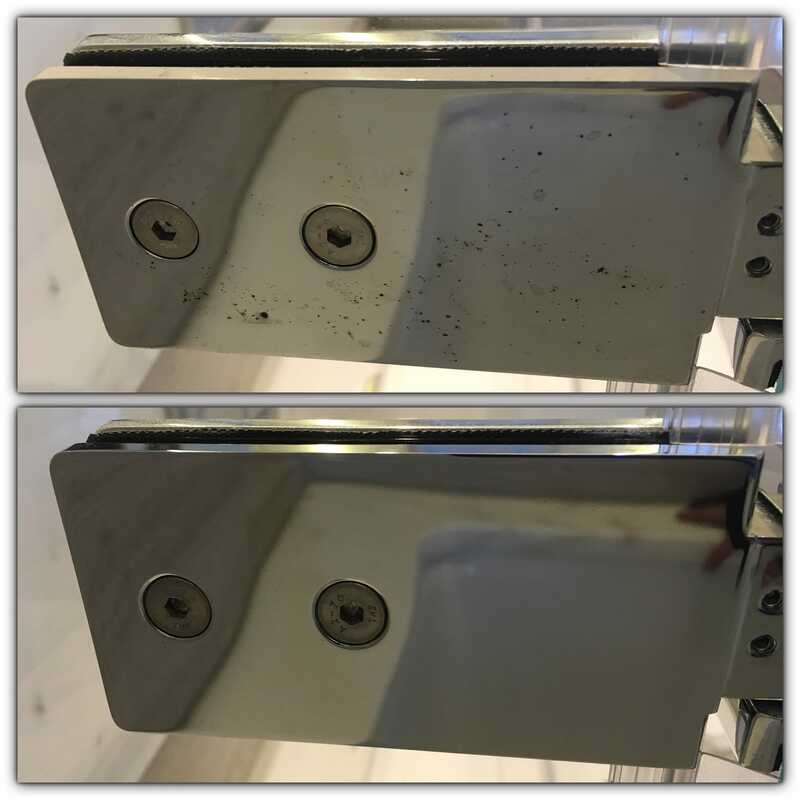 Before and after of the rust polishing.